We were discussing the merits of various car interiors recently. Here’s an example of putting the passengers’ interests high on the priority list. 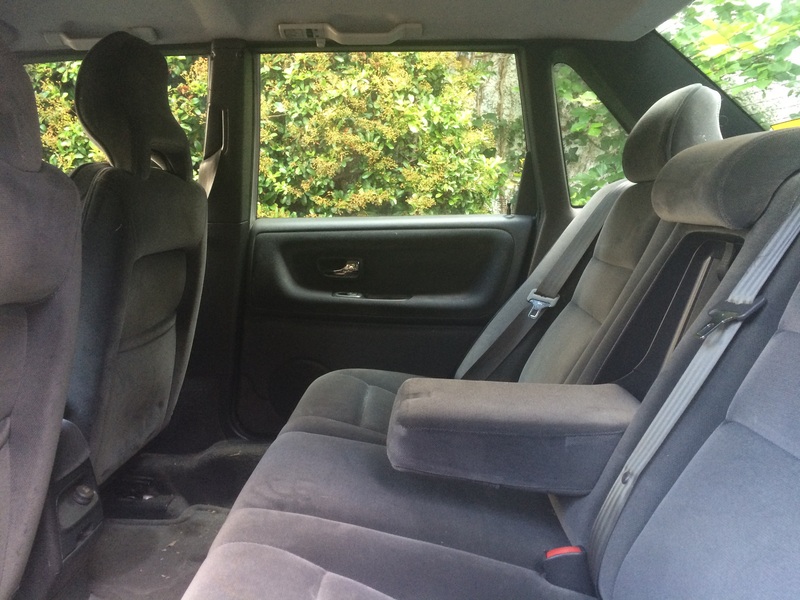 Plenty of legroom and velour for everyone: 1997 Volvo S70 2.4 litre 5 cylinder. In a way Volvo is or was Europe’s Buick, appealing to a certain type of middle-class buyer. The cars aren’t dynamic but are dependable and aim or aimed for comfort over style. Interestingly, Volvos as used cars never seem to end up as pimped wheels or to attract the same clientele as 15 year old BMWs and 20 year old mass-market saloons. They always remain firmly in the bosom of the bourgeoisie. 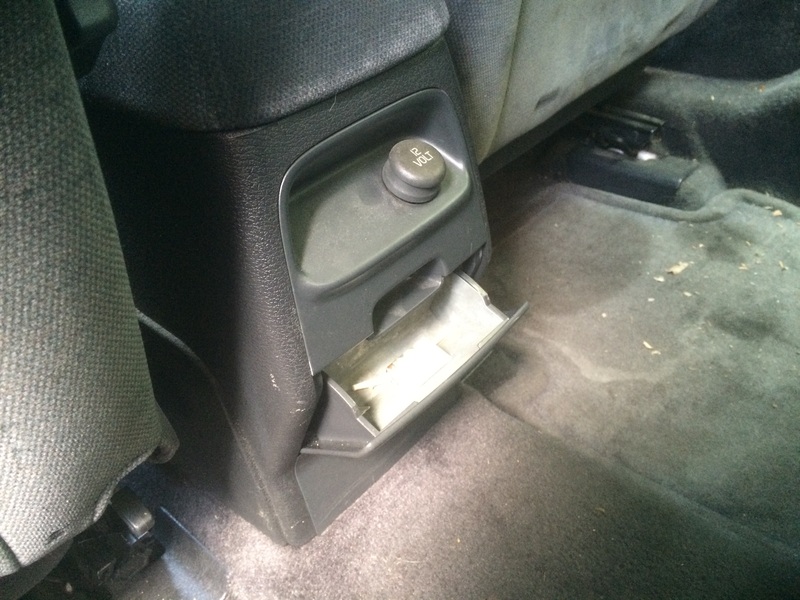 1997 Volvo S70 rear ashtray: Swedish excellence. Well, in 1997 i would prefer to buy a Citroen XM or a Saab 9000 – i think they have even more legroom and cozy velour seats too. i cannot explain why, but the interiors of Volvo does not look really homely to me. But i love the non-multi-functional huge armrest of this Volvo. The Saab was reputedly hugely spacious but I have yet to try it. Against the Volvo is the fact that the front headrest blocks the forward view. I have seen the versions with warm colours and they are very pleasant. This example is plain drab, belying its physical comfort. And the armrest: yes, it’s an armrest and not a cupholder holder with a box underneath and the better for it! About the XM: probably the pick of the bunch: super seats, great legroom, good views sideways and forwards, ashtrays and ventilation plus individual lights…Champion car.